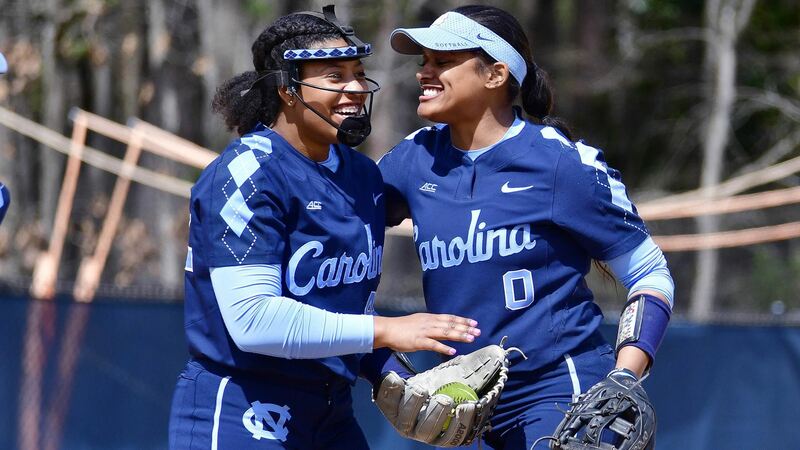 Just one day removed from tossing a one-hitter in a series-opening victory over Boston College, the UNC softball team tossed another gem on Saturday at Anderson Stadium–shutting out the Eagles 2-0 to clinch the series win. A two-run single from Megan Dray in the first inning was all the scoring the Tar Heels (14-9, 4-1 ACC) would need to get the job done thanks to the stellar pitching from starter Hannah George and Brittany Pickett, who earned the save out of the bullpen. The Eagles were only able to scrape together four hits in the game. UNC will go for the series sweep on Sunday, with first pitch set for 1 p.m.